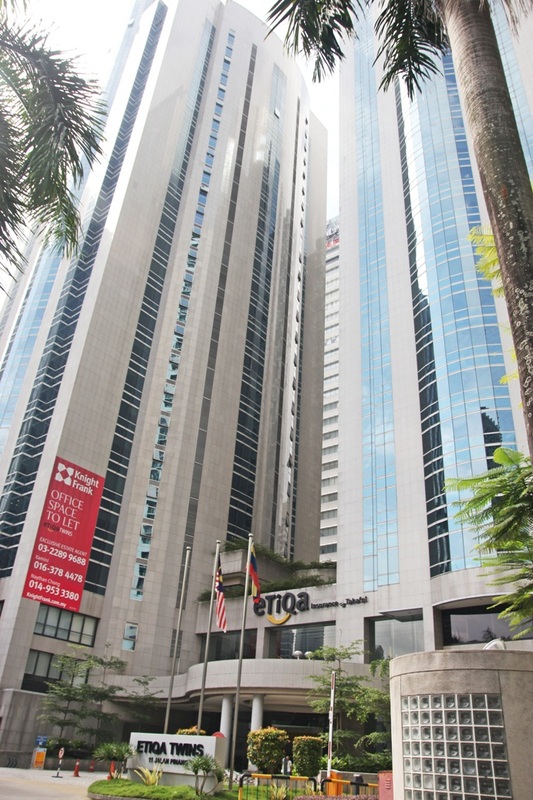 Centennial Business Suites offers a fully furnished and well-equipped office at a prestigious address in Kuala Lumpur at a fraction of a cost. We are located at Etiqa Twins Tower 2 occupying the entire 25th floor and is situated right in the heart of Kuala Lumpur City Center (KLCC) – the main business and financial district of Kuala Lumpur, the capital city of Malaysia with less than 120 metres to the famous iconic Petronas Twin Towers and adjoining 50-acred scenic recreation parks and the spectacular 1 million sq. ft KLCC Suria Shopping Mall. We are being surrounded by large MNCs helping you to improve your client perception and company image. Clustered by 5-star hotels and furnished serviced residences such as the new Grand Hyatt Hotel (on the right), Mandarin Oriental Hotel (opposite) and The Ascott Serviced Residence (on the left). 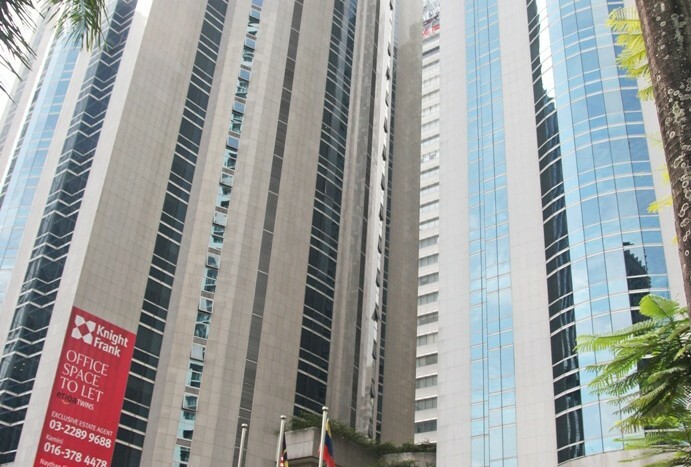 Centennial Business Suites is adjacent to the air-conditioned skybridge which links to many key buildings such as the Pavilion Shopping Mall, Suria KLCC Shopping Complex, Kuala Lumpur Convention Centre, Bukit Bintang and many more popular places. Within our building, there is a food court with various choices of Malaysian cuisine, San Francisco Coffee, a medical clinic, a convenience store and a travel agency. We are accessible by Light Rail Transit (LRT) which is less than 8-minute walking distance to the KLCC RapidKL LRT station and Raja Chulan Monorail station.